Depending on how it looks, homeowners can have an on-again-off-again love affair with their bathrooms. But trade pros can effortlessly transform a bathroom with the quality brands and products available at ProSource® of Allen. Partner with us to ensure every minute spent in a remodeled bathroom is enjoyable. 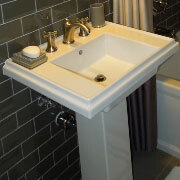 The bathroom remodeling specialists at our Allen showroom can help you find a stylish new sink for any bathroom. With above- and under-counter options, in addition to beautiful, pedestal-mounted choices, you will find a sink that matches any bathroom decor. 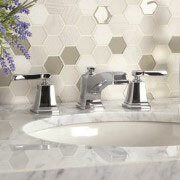 While often overlooked, a new bathroom faucet can be an eye-catching addition to any bathroom remodel. Delight your vision with a bathroom sink faucet that perfectly pairs with the style of the sink and vanity. Singing in the shower is more enjoyable if the shower is as beautiful as a concert hall. At ProSource of Allen, we offer shower tiles, heads, handles, doors, and other accessories to turn a shower into a new favorite performance space. 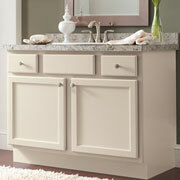 A bathroom vanity allows you to neatly pack away bath time essentials into an attractive space. Complemented by a new mirror and light fixture, a vanity can add an elegant sense of class to any bathroom. 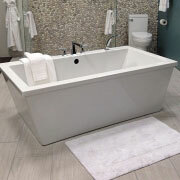 Immerse yourself in the warm waters of a beautiful new bathtub from ProSource of Allen. 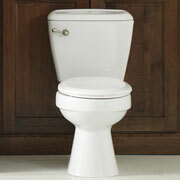 We offer tubs of all shapes and sizes to fit the needs of any bathroom remodeling project. You have your pick of marble, porcelain, and fiberglass tubs to meet your expectations. The toilet is the unsung hero of many bathrooms. Make a remodeled bathroom instantly more appealing by adding a new toilet. With new, low-water volume options, an eco-friendly approach will save money and water. We're proud to serve the area of Allen, McKinney, Frisco, Plano, and Richardson, Texas. The ProSource of Allen showroom is conveniently located in Allen, Texas and serves all of the neighboring cities including Allen, Anna, Blue Ridge, Caddo Mills, Celeste, Celina, Farmersville, Frisco, Greenville, Gunter, Lavon, Leonard, McKinney, Melissa, Merit, Nevada, Plano, Princeton, Prosper, Richardson, Rockwall, Royse City, Trenton, Val Alstyne, Westminster, Weston, Whitewright and Wylie.